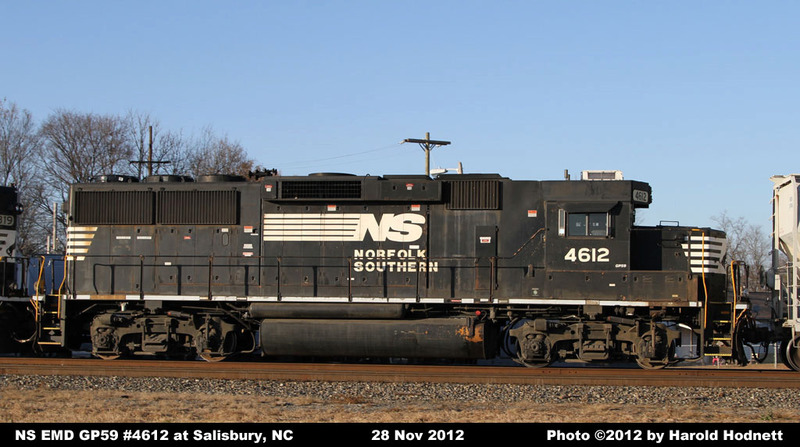 4612 SOU 11-1989 887007 887007-4 NS LEADER/PTC Equipped. 4614 SOU 11-1989 887007 887007-6 Unit currently stored, but still on the active roster. 4627 SOU 12-1989 887007 887007-19 NS LEADER/PTC Equipped. 4630 SOU 12-1989 887007 887007-22 Painted in special Operation Lifesaver paint scheme. NS LEADER/PTC Equipped. Unit currently stored and being rebuilt as a GP34ECO. 4634 SOU 12-1989 887007 887007-26 Painted in special Operation Lifesaver paint scheme. 4635 SOU 12-1989 887007 887007-27 Painted in special Operation Lifesaver paint scheme. 4639 SOU 12-1989 887007 887007-31 Painted in special Operation Lifesaver paint scheme.